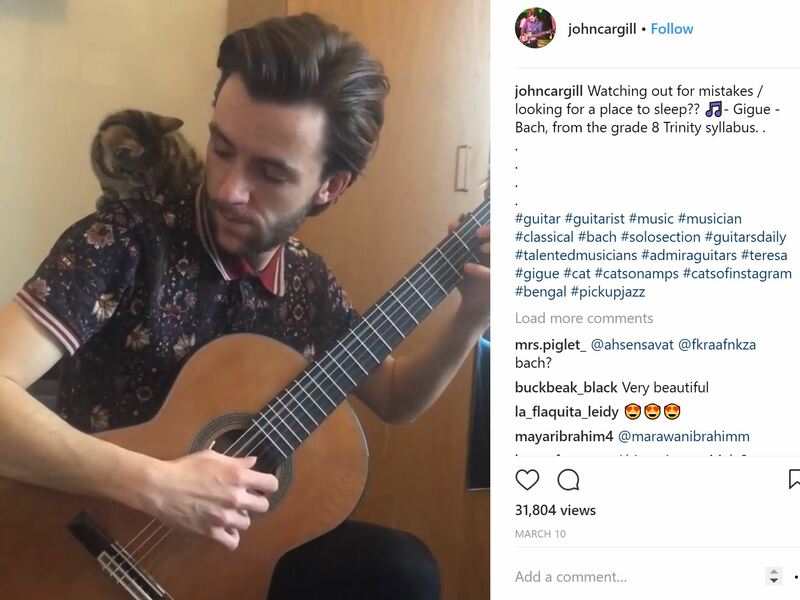 Today, we have the honor of interviewing John Cargill, who is not only known for being a talented professional guitarist, but also for posting adorable content of his kitten, Luna, on Instagram. Check out his page, @johncargill, to see Luna romp around, explore, and cuddle up near his guitars. This video, in particular, might be too heart-meltingly pure for this world. Today, John Cargill resides in Scotland with his girlfriend and, of course, Luna. Tune into our interview to learn about how living with a cat as a professional musician is, surprisingly, fun! 1) When did you first realize you were a cat guy? Always, I guess! My mum’s a big cat fan, so we had a few running around when I was growing up. 2) What’s the story behind Luna? How old is she? Luna is around 4/5 months now! My girlfriend and I often joked about getting a pet. One day we looked online and a few hours later we had a deposit down and she was coming to stay with us. 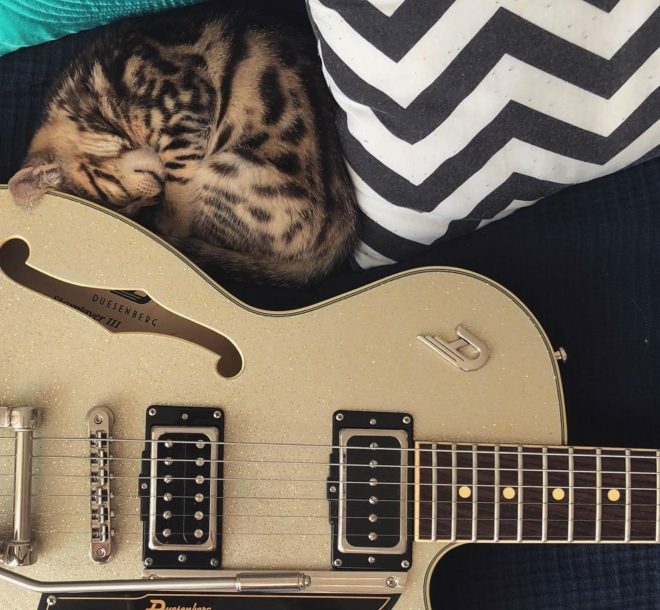 3) How has being a cat dad impacted your career as a guitarist? Haha, in a strange way it’s allowed me to reach out to a much bigger audience, especially on social media. My little clips with her have had well over 10 million views and gained us 15 thousand followers in a few weeks. I know a lot of people are there to see the cat, but I’ve had plenty of positive reviews about my playing too, which is nice! 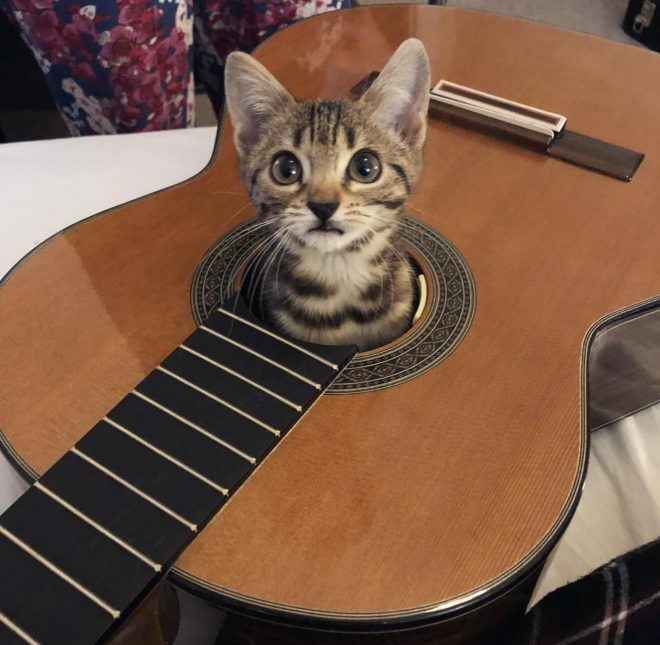 4) Any tips for keeping cats away from wires connected to electric guitars and other instruments? Luna is actually pretty good when it comes to that… She loves playing with strings, etc., but luckily stays away from cables. We had an electrician checking the equipment a few weeks ago, and he was really surprised that everything was in working order! 5) What’s Luna’s favorite kind of guitar music? Impossible to say, but I think she likes classical/Spanish music the best. She sleeps when I play it, but wakes up and gives me a dirty look when I stop, even for a second! 6) If Luna could write a song, what would it be called and what would it be about? Haha, I have no idea! Something about attempting to break the internet probably! 7) Has Luna inspired any songs by you? Not really, but she has been around when writing some tunes with friends; so, whether it’s jumping on someone’s legs during a take, or playing around with toys, she probably has! 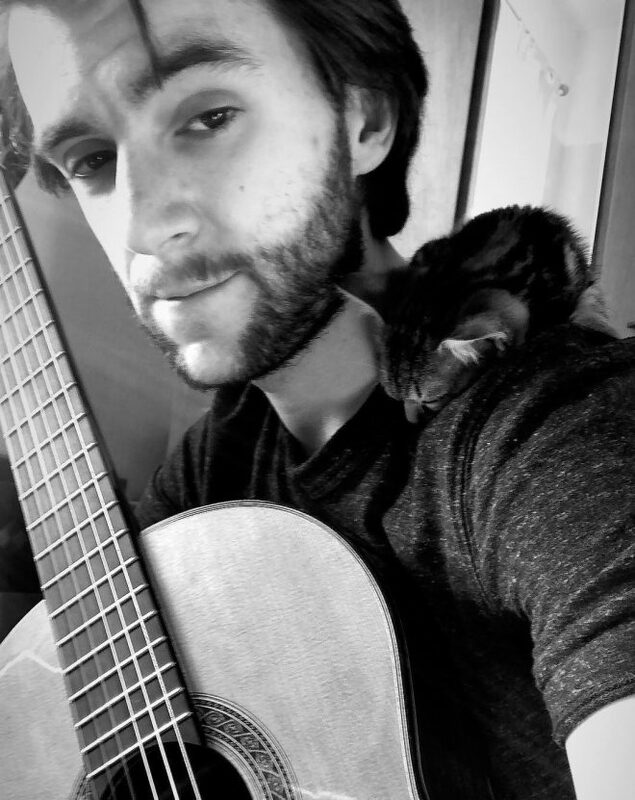 8) What’s the biggest challenge about being a guitarist and having a cat at home? It’s probably having to be away for long periods of time. As Scotland is quite small, I can luckily come home after most of my gigs at the moment, but if I was away on a longer tour, then it would get tricky. 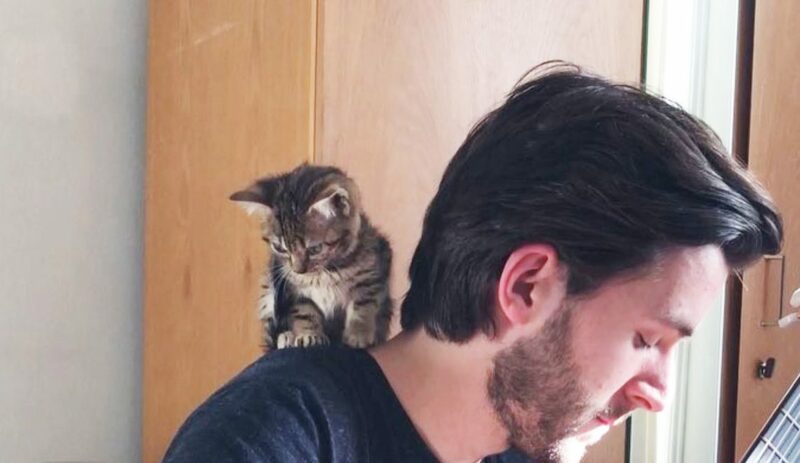 9) What’s the best part about being a cat dad in general? Having someone to chill with during the day. Working from home can get quite lonely! 10) Lastly, what’s your favorite cat pun? On April fools I posted an ‘album cover’ saying that we’re releasing a ‘Catallica’ album of Metallica’s greatest hits… I really need to get out more! 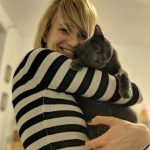 Diana is the Manager of Content and Social at KitNipBox. She lives in New York City with her boyfriend and their grey rescue kitty, Baguette. When she's not obsessing over cats, she's cooking breakfast, playing board games, reading, or crafting.